Law enforcement agencies have traditionally followed the concept of treating issues in a polarized manner. The concept of a top-down command model with little feedback from lower ranks was, and still is, generally applied in public sector entities. The following article discusses how agency leaders can utilize the Soft Systems Methodology to deal with change when implementing projects within their agency through a team-based approach. 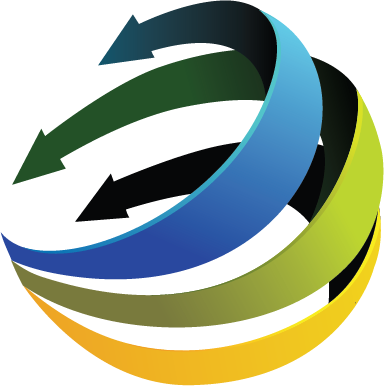 The Soft Systems Methodology (SSM) is an approach for tackling real-world problematic issues. (Checkland & Poulter) SSM provides the process for viewing issues from a perspective that can differ according to circumstances surrounding each particular situation. Business processes include both soft and hard issues. Hard issues are those in which a process is linear and results in a quantifiable outcome. One might envision computer programming or an assembly line when conceptualizing a hard idea. SSM specifically focuses on the notion of a soft system, where the question at hand is nebulous or intangible and outcomes may be contingent on a number of different variables introduced into the process. Examples of soft systems include human interactivity when dealing with such issues as crime reduction or departmental productivity costs. In these scenarios, multiple ways to address the issues are available, and various solutions may involve several different perspectives associated with participants, each vying for a particular outcome. SSM takes these situations into consideration and offers a means to mentally construct potential solutions for complex problems. Taking action to improve the situation. The utilization of these concepts allows for dialogue and debate to occur. Once these ideas are initially brought to the table, they can be digested and then formulated into a plan that essentially can be implemented for change in one’s environment. STAGE 1: The initial step in this process is the identification of an issue that needs to be rectified. As mentioned in the introduction, the issue is the transformation of a top-down command model to a team-based approach. STAGE 2: This particular step is not confined to structured processes but induces stakeholders to view and communicate their thoughts on the processes, climates, people, issues, and conflicts in potentially novel perspectives through rich pictures. 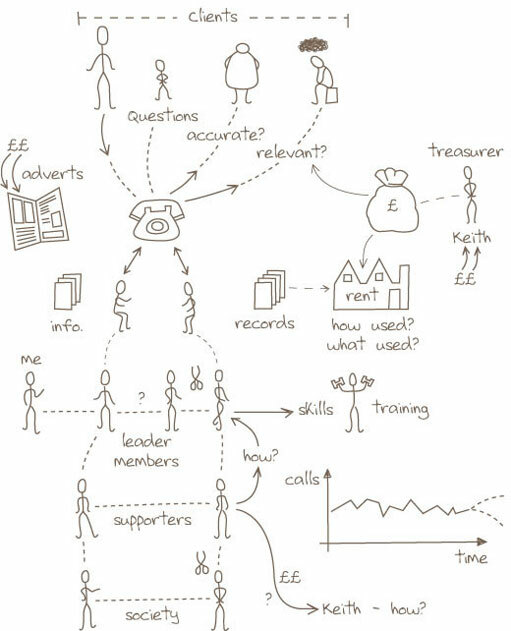 (Checkland, 1999) Rich pictures are such visualization tools as sketches and drawings that participants create to communicate a perspective of the issue, (Checkland & Scholes) in this case the transition from an individual, top-down method to a team-oriented method. This stage can foster open dialogue to determine whether, for instance, the transition to a team approach would be beneficial, and it can help identify potential flaws and recognize opportunities that may synergize operations. STAGE 3: The formulation of a root definition is considered to be the most complicated component of SSM because it stimulates and encourages participants to conceptualize plausible perspectives, which the methodology calls holons. (Checkland & Scholes, 1991) The stakeholders’ formulation of holons provides a different set of standards, which are commensurate to each particular position and allow one to continually re-evaluate issues as intricacies are added or subtracted to the situation. STAGE 4: The goal within stage four is to make the plan identified in the previous steps more concrete. This particular issue revolves around the transition from a traditional, individual work environment to a more dynamic and flexible team-based model of work. A conversion such as this has a number of complexities and potential outcomes associated with it, so defining the situation and exploring it deeper is needed in order to accomplish any measurable success. Visually articulating multifaceted ideas then reducing them into a summarization that is easier to grasp and comprehend is a vital step in the SSM process. The need for open dialogue between employees and administrators during this stage can help foster ideas that can be implemented on a short-term basis. As these changes are implemented, organizational stakeholders can analyze the modifications to see if any adjustments are necessary. STAGE 5: During this portion of the SSM process administrators attempt to compare their model to the real world in order to arrive at conclusions as to whether their ideals would be successful if they were implemented. A key component during this portion of SSM is the utilization of effective managerial techniques in order to lead the plan in a definable direction and ensure its success. STAGE 6: This portion of SSM agrees on — and defines — the changes that participants consider both feasible and desirable for issue resolution. For example, placing project ownership in the hands of team members whom the administration has empowered as key decision makers in implementing the transition can lead to desired organizational goals. These team members may have a stronger situational awareness of their environment and can be trusted to make the best decisions regarding change. In transitioning to team-based operation, bottom-up communication should be in place so that recognition of potential problems is conveyed to key decision makers before they become actual problems. Staying proactive instead of reactive is vital to circumvent underlying issues that generally are ignored. STAGE 7: Finally, stage seven induces stakeholders, especially administrators, to carefully incorporate the agreed changes into their culture and environment. Holding a group meeting to communicate intentions and changes is a good initial step. Internal and external changes will always be present, and the need for an organization to be flexible and adaptable is necessary for continued success. A team model can be used to cultivate a more efficient and effective work environment that balances strengths and weaknesses while continually cultivating employees to perform at higher standards. By deciding to approach situations using the seven stages of SSM, stakeholders automatically have a map leading to the accomplishment of planned purposes and the creation of structure that defines complex issues in a digestible manner. Breaking the process down into different portions allows participants to gain a bearing on their accomplishments and confidently move forward toward their objectives. SSM provides a methodology to deal with a complex issue that can be argued from multiple perspectives and is a good model to utilize when dealing with complicated issues — especially ones that have no baseline with which to compare past issues. Police agencies generally are very dynamic in nature and being able to match a situation to its involved actors and stakeholders can be a daunting task. Transitioning to a team-based model allows for a greater range of problem solving that actively draws off of the cumulative knowledge of the group. Working in a team-based environment provides the opportunity to balance strengths and weaknesses among the group and can lead to individuals taking on leadership roles as particular situations present themselves. Another important attribute associated with the implementation of a team-based model is that is it provides for more adaptability to the organization, which is an important element common to SSM. A team-based approach offers the opportunity to amplify group strengths through active feedback and criticism for the purpose of critical discussion. This approach also provides the ability for multiple members of a group to recognize critical nuances that could positively or negatively affect the continued internal functionality of the team. SSM lends a structure to these different paths, which could potentially lead to various outcomes. Being able to control the chaotic nature of a dynamic environment is a goal that many organizations strive to achieve. Going about this issue in a manner that leads credence to the situation helps stakeholders see matters in different, relevant frameworks that can be manifested visually through lists and charts or orally through open discussion and continued dialogue. Coalescing the collective knowledge of these various perspectives allows teams to continually adapt to situations in order to arrive at defined objectives in a more efficient and effective manner. Checkland, P. B. (1991, 1998). Systems Thinking, Systems Practice. Chichester: John Wiley & Sons. Checkland, P. B. (1999). Systems Thinking, Systems Practice: A 30-year Retrospective. Chichester: John Wiley & Sons. Checkland, P. B., & Poulter, J. (2006). Learning for Action: A Short Definitive Account of Soft Systems Methodology & Its Use for Practitioners, Teachers, and Students. Chichester: John Wiley & Sons. Checkland, P. B., & Scholes, J. (1991). Soft Systems Methodology in Action. Chichester: John Wiley & Sons. Warwick, J. (2008). A Case Study Using Soft Systems Methodology in the Evolution of a Mathematics Module. The Montana Mathematics Enthusiast, 5 (2 & 3), 269.